A birth injury is harm caused to the baby before, during, or upon birth. There can be many different causes of birth injuries, from complications during pregnancy to problems during delivery. 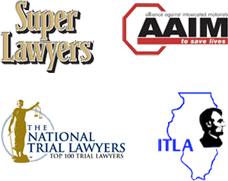 As experienced Chicago birth injury lawyers we have represented many families that have suffered as a result of a birth injury. Some birth injuries can result from natural causes. In most cases, birth injuries are caused by errors, delays in treatment, miscalculations, and negligence of doctors, nurses and hospital staff, and other healthcare staff during the labor and delivery process. The types of birth injuries can vary, from minor injuries and others can result in life-long suffering to the child and family. Unfortunately, some birth injuries can be fatal to the infant resulting in death. At Nemeroff Law Offices our experienced Chicago birth injury attorneys will discuss your situation, and go over the options available to you, as well as work with insurance companies and other parties involved in your case to make sure all your needs are handled quickly and appropriately. If you or someone you love has a birth injury, contact Nemeroff Law Offices today. Our experienced bicycle injury attorneys are available to speak with you directly.